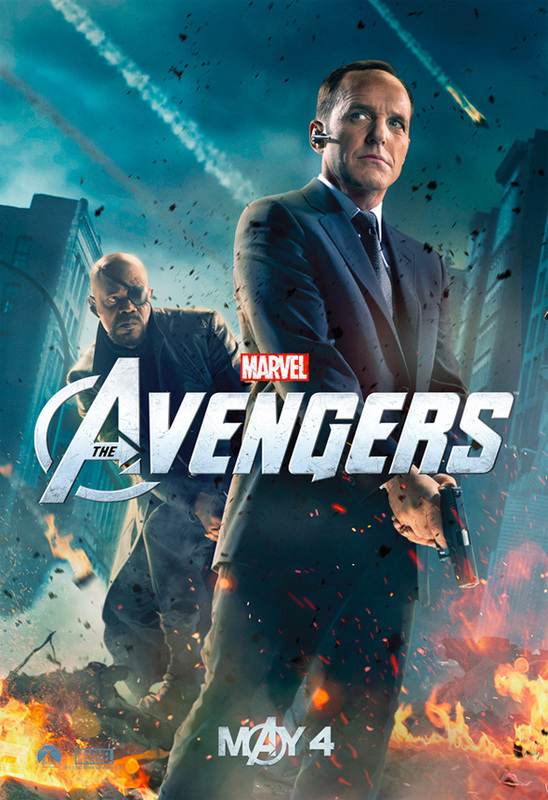 We've seen The Avengers assembled on a theatrical one sheet, then all split up into character posters and put back together again for one huge banner, but perhaps there was one key ingredient missing; one singular entity that helps tie all these characters together, but has never gotten their due diligence. We now have that final piece of the puzzle as Clark Gregg, the man behind S.H.I.E.L.D. Agent Coulson (or Son of Coul as Thor calls him), sent out his very own official character poster through his Twitter feed (via ComingSoon) with Samuel L. Jackson as Nick Fury by his side. It's about damn time right? Poster below! So awesome. I love Clark Gregg and especially Agent Coulson. What's pretty great and/or funny is that this is probably the best Avengers poster that the firm doing the marketing for this film has produced. Oh yea totally. Cuz of how gritty and anti-cartoony it looks. This is sick; and easily agreeing with "Sdfsad". I just watched "the usual suspects" for the first time (i know...sadly), and Gregg was in it. Totally surprised. Great movie btw. Still.....as always...lookin forward to the movie! Clark Gregg is totally under appreciated. Glad to see him getting his own poster. Oh dear. What's next, a poster for the Avengers office janitor? Or cook? guarnteed he has like ...12 lines.. in the film. I thought this was stupid about THOR aswell, they had big giant character face posters for people who had about 10 lines. But Coulson is the thread that ties all the characters together, having appeared in all the films(let's forget about Hulk) and the short "A Funny(Strange?) Thing Happened on the Way to Albuquerque". OMG. If they're going that far, why not make a poster for the explosions now?? Michael Bay-splosionsss!! !